Not to answer a question with another question, but how much is it costing your business by not having a dedicated bookkeeper? Bookkeeping costs depend on a number of factors, whether you’re running a neighborhood restaurant or a multi-national conglomerate. When first starting out, many small businesses require the basic bookkeeping services such as paying bills (accounts payable), collecting accounts receivable, recording transactions, ensuring employee payroll accuracy and following state and federal tax regulations. These basic bookkeeping services cost a lot less than they’re worth, and eventually all businesses outgrow these basic bookkeeping services. But that doesn’t mean the cost of your bookkeeping services exceeds the benefits provided, nor will it ever. Businesses require consistent, accurate financial reports, delivered in a timely and efficient manner. This is where most businesses fall short in weighing the cost of their bookkeeping services, just focusing on compliance. 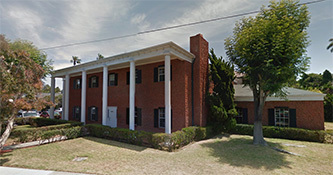 We see it with most new clients that come on board here at Bottom Line Management, their financial management & reporting processes are outdated, inefficient, and more often than not prohibitive to growth. In order to grow your business year over year, it’s not the cost of bookkeeping services that is important – it’s the benefits derived from having a dedicated accounting & bookkeeping system in place to drive growth by making data-driven decisions. As your business grows, you need to consider evolving your basic bookkeeping services to more of a full-service accounting system, with financial and management reports that help your business scale. 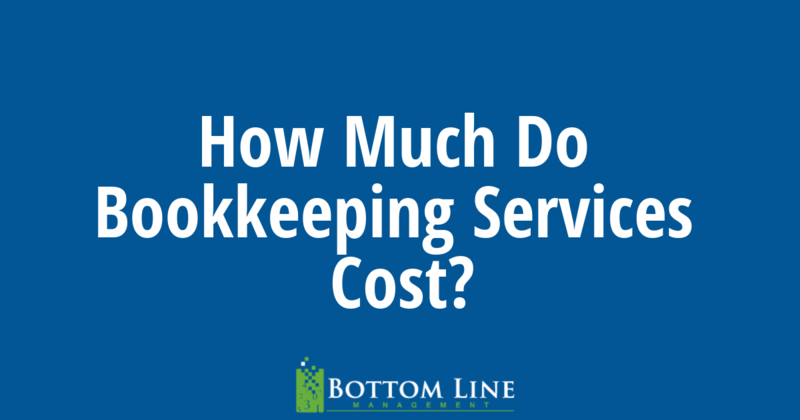 What Determines the Cost of Bookkeeping Services? Here are the most common factors that have an impact on the cost of bookkeeping services for your company. In addition to these basic bookkeeping activities, your bookkeeping costs will be impacted by how your accounting systems, policies, procedures, and reporting needs are set up and administered. This is why you NEED a dedicated accounting system for your business AND a dedicated person to manage it – whether that’s an outsourced bookkeeping service or hiring an in-house accounting staff largely depends on the size of your business. Whether your business is just starting out, strictly needing the most basic compliance services, or your an established business requiring a full service accounting system, you need to do a little cost/benefit analysis. An efficient bookkeeping service will always be an investment and not an expense, no matter what the cost. The key is finding a bookkeeper that can grow with your business, one that will help your business not only manage where you’re at now, but also a service that increases profit, improves cash flow, and scales with your business as it grows. While the cost of bookkeeping at the most basic level is usually significantly lower than hiring full-time accounting staff, you should experience a return on investment on those bookkeeping costs almost immediately. According to Salary.com, the median annual Bookkeeper salary in the United States is $41,233, as of March 01, 2018, with a range usually between $36,187-$46,248. And remember, the average salary of an in-house bookkeeping staff does not include employee benefits or increased overhead like equipment and office space – on average these additional bookkeeping costs amount to another 20% of that annual cost per staff member. How Much Should Your Business Devote to Bookkeeping? It really depends on where your specific business is at, there is no one-size-fits-all cost for bookkeeping. As a business owner, your first consideration is usually whether to hire in-house staff or to outsource your bookkeeping & accounting duties. Either way, effective & efficient bookkeeping services should justify their cost month after month. An effective bookkeeping service will help your business consistently increase profits, improve cash flow, and ultimately drive business growth. So, to outsource or not to outsource…that is the question. That’s what will ultimately determine the cost of your bookkeeping needs. Outsourcing your bookkeeping services reduces your costs while maximizing your return on investment. Simply put, an outsourced bookkeeping service offers many benefits an in-house bookkeeper cannot provide. Bottom Line Management will save you time and money by handling the daily and monthly activity. This in turn leads to reviewing and compiling your year-end financials so everything is in black and white, every detail is taken care of, making it much simpler for your CPA or E.A. to prepare the return with ease. Bottom Line Management can help put your bookkeeping costs to work for your business, just schedule a free consultation and leave the accounting to us! Our clients stay in their comfort zone while we take their piles of receipts and records off of their hands. We make sure everything balances to the penny every month. Stress less — let Bottom Line Management take care of the details. Your CPA will thank you!